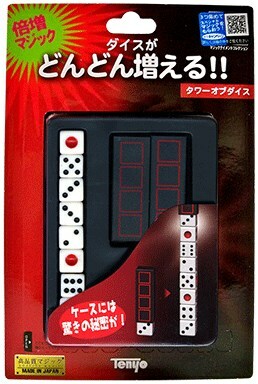 Remove four dice from inside the tube. Until eight dice appear, magically stacked in a tall tower! You can hand out the tube and dice to your audience at the end.